Remember the dulcet years of ProsperWorks’ infancy, when its Gmail widget — nestled snugly in the downy embrace of our Gmail inboxes — warmed our calloused hearts? When we gazed on its contact management tools contained in its little window, improving our productivity — awww. 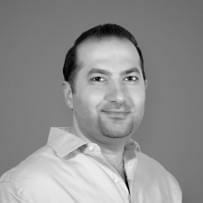 ProsperWorks has been around since 2011, which gives it a bit of mileage in software years. ProsperWorks updates have evolved the CRM from the blissful simplicity of its youth to a capable, independent platform. Sigh. Those golden early years never last forever. Okay, we jest. Actually, ProsperWorks has been recognized for doing many things right for several years running. In 2016, they won recognition from Google for their G-Suite integration after passing several security and technology audits. We also described them last year as a great option for Gmail CRM integration. We’re sure they were equally proud of both acknowledgments. The company has steadily upped their game, and last week they upped it further with the announcement in a blog post of a ProsperWorks update with some big new features — the ability to send and reply to emails within the app, improved opportunity management and integration with Slack. Email integration in a CRM is necessary. It’s not a very effective CRM if it doesn’t associate emails (and other correspondence) with the right contacts and leads. Being able to send and reply to emails within the app improves productivity incrementally, but it adds up. Previously, ProsperWorks users would need to return to their Gmail inbox to handle the back-and-forth. The ProsperWorks update changes that. 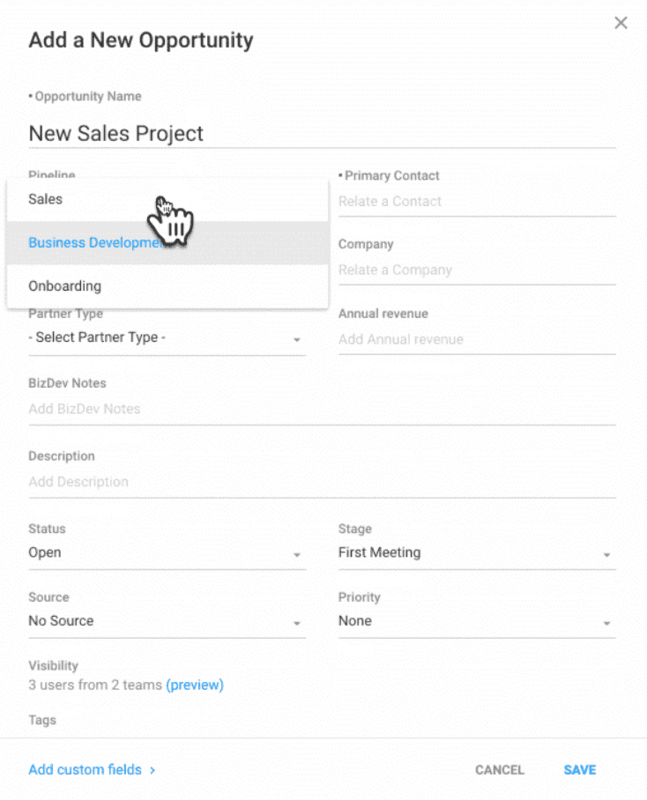 ProsperWorks also upgraded its opportunity management tools to allow users to customize Opportunity field layouts specific to a pipeline. The CRM already permitted custom fields and field order for contacts, leads, opportunities, tasks, and projects. 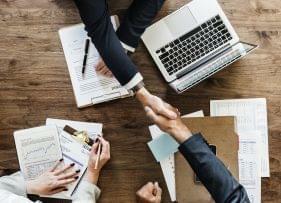 This new feature allows the addition or omission of fields in Opportunity records that are specific to the sales process of their distinct pipeline. The ProsperWorks update also makes it easier to set primary contacts for Opportunities. Previously the account admin would need to create a custom contact type, now ‘primary contact’ is included as a default field. 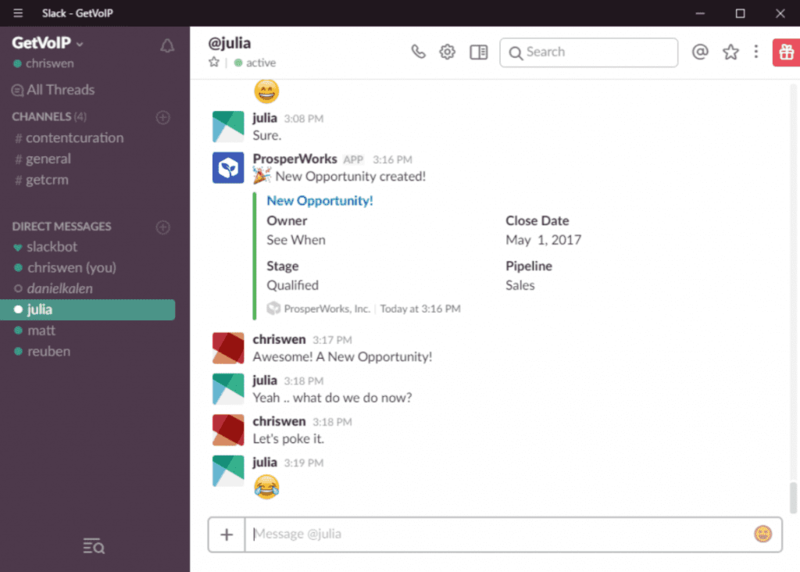 ProsperWorks also added a Slack integration and enables notifications when Opportunities are created, won, lost, abandoned, or change their pipeline stage. For an app that doesn’t enable group messaging, this is a nice workaround to keep your CRM activity involved in external work-related conversations. Ok, but what does this change? 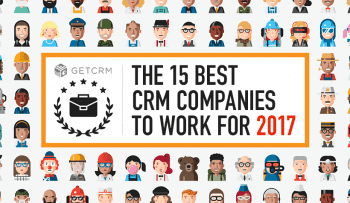 It’s nice news for ProsperWorks users — their CRM got a little better. Then again, the ProsperWorks update isn’t going to shake the CRM industry. While the company raised $24M in Series B funding last year, and have ambitious plans to roll out machine-learning features, ProsperWorks CEO John Lee acknowledges they’re relatively small fry compared to “the 800-lb gorilla in the room, Salesforce.” The latter, as you can expect, has enabled email sync and Slack integration in their CRM for quite some time already. It’s not only the industry giants that have these features. CRMs closer to ProsperWorks’ weight class already offer features the kind that ProsperWorks just unveiled. 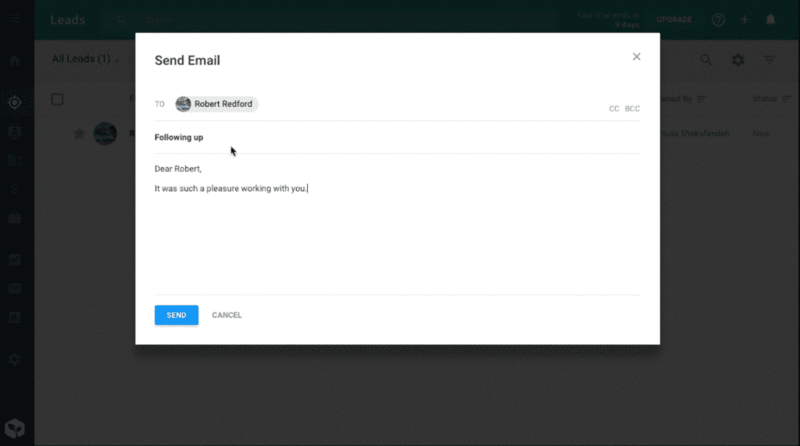 Pipedrive, Zoho and HubSpot all offer email sync and Slack integration (though the latter two through Zapier). So this recent update raises ProsperWorks’ profile but in many ways they’re racing to keep pace. It might push ProsperWorks a little ahead of Insightly, whose recent troubled update intended to lay the groundwork for potential auto-population of contact/organization details, which ProsperWorks already provides. This would be welcome news to ProsperWorks, who somewhat celebrated their rival’s woes in a satisfied retweet. Does this make ProsperWorks worth getting? ProsperWorks doesn’t profess to offer everything you need, but for its price, it offers a lot and it punches above its weight. Check out their pricing below. 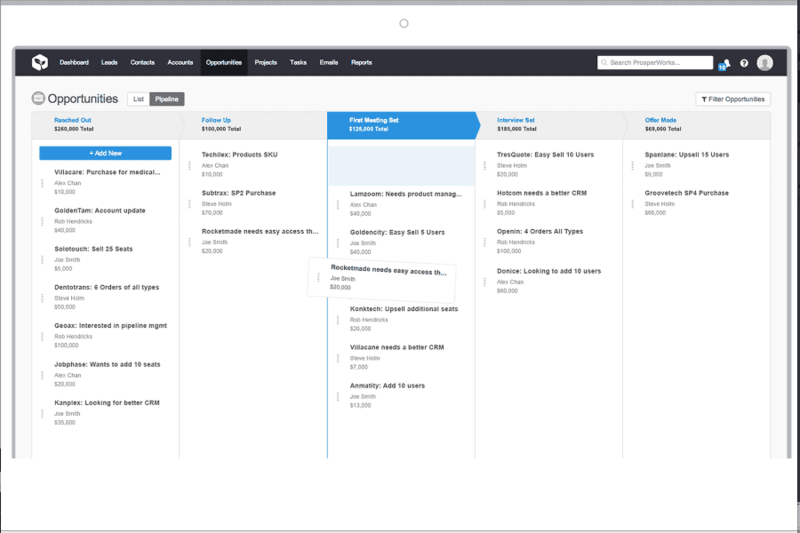 For additional CRM overviews, user reviews and comparisons, check out our free Sales Automation Comparison Guide.